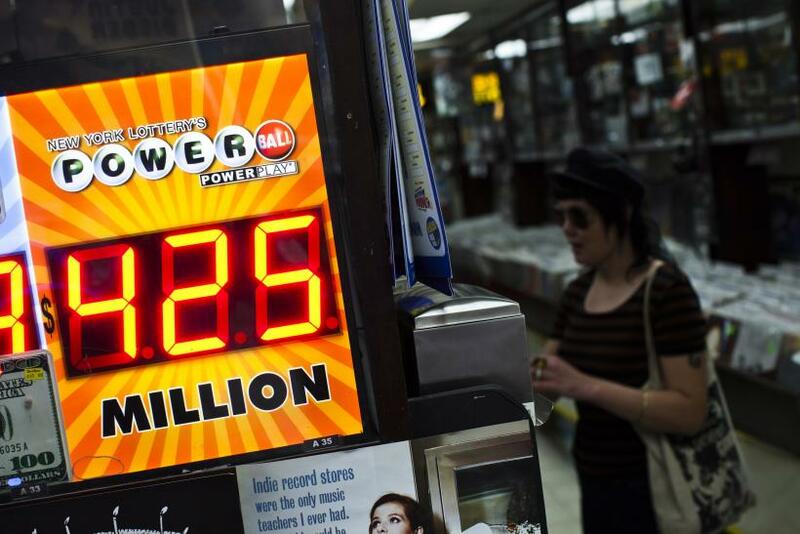 A woman buys a Powerball lottery ticket at a convenience store in New York August 7, 2013. Three winning tickets -- two in New Jersey and one in Minnesota -- were sold, reports said, for Wednesday’s Powerball jackpot of $448 million, which is the fourth-largest lotto jackpot ever. The winning numbers were 5-25-30-58-59 with Powerball 32, and the three tickets that matched these numbers would split the $448 million, Sue Dooley, senior drawing manager production coordinator for the Multi-State Lottery Association, told Associated Press. "We had three grand prize winners," Dooley said, adding that the identity of the winners are yet unknown, and that the prize money would be divided by three. Wednesday’s drawing had a total of 4,051,009 winners, according to the Powerball website, and the non-Jackpot winnings totaled $66,895,831. While the jackpot earlier stood at $425 million, it grew to $448 million as a good number of people went into a ticket-buying frenzy to win big bucks, AP reported. “It’s been a lucky year for the Powerball,” Chuck Strutt, head of the Multi-State Lottery Association told NBC News, adding that offering huge sums of money has helped attract more players into the game. In January 2012, the rules of Powerball were changed and this gave players a better chance at winning the jackpot, in addition to increasing the minimum jackpot level. The increase in the price of a ticket from $1 to $2 was initially expected to decrease Powerball participation by about 35 percent, but increasing the winning prize amount helped draw more people to participate, Strutt told NBC News. The changes in rules have resulted in a 50 percent jump in profits for Powerball, with the company drawing $5.9 billion last fiscal year, NBC reported. According to Powerball's website, the game is played in 43 U.S. states as well as in Washington D.C. and the U.S. Virgin Islands.